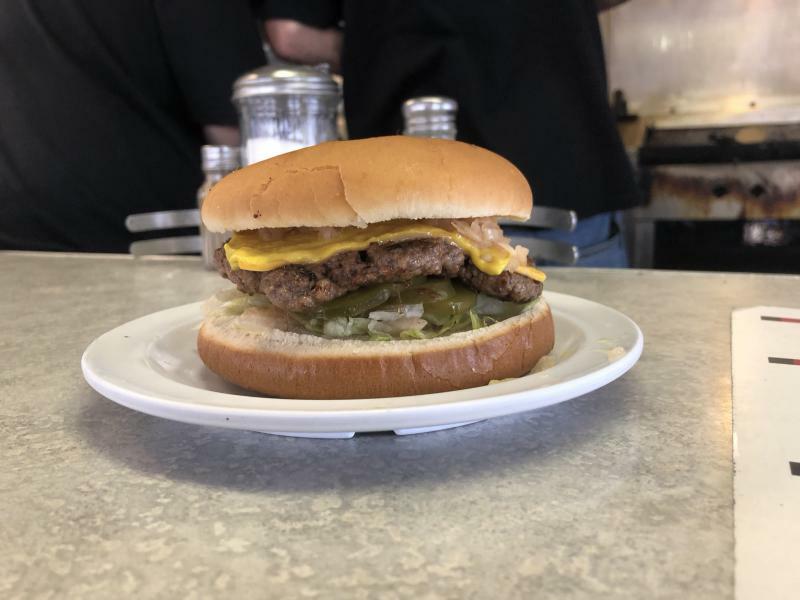 Bob’s Hamburg is a beloved greasy spoon in Akron known as much for its unchanged décor as its food. But there could be a change in ownership coming. 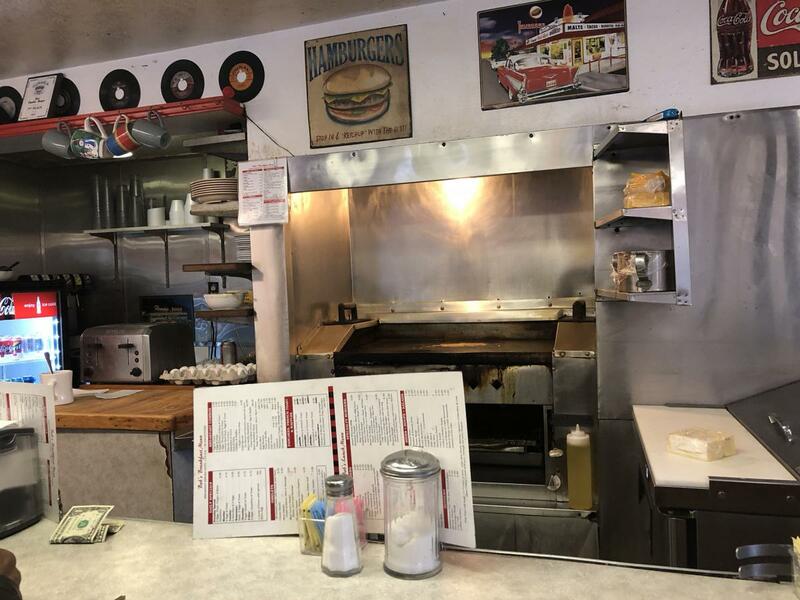 On this week’s State of the Arts, WKSU’s Mark Arehart takes us to the restaurant that’s stood in the same spot for nearly 90 years. The grill can get pretty crowded at Bob’s Hamburg. As a stream of mostly regulars comes through the door on a chilly November morning, the restaurant’s owner and resident grill-master Aimee Buckeye greets many by name. It’s her patrons that have kept this restaurant frozen in time since Bob Holbrook first opened its doors in 1931. “They wouldn’t have let me change anything, (the) regulars,” Buckeye said between stints on the grill flipping eggs and pouring pancakes. It’s a bit too early for a burger, so most are sitting down to bacon, eggs or oatmeal along with the morning paper. “At my age, the doctor recommended oatmeal. So that’s what I’m having,” Cecil Hill said over his hot cup of coffee. He’s been coming to Bob’s for decades and said he recognizes most of his fellow regulars. Many have memories of Bob’s from childhood, like Janet Dunn who started coming here with her parents. “I like to watch Aimee cook, or whoever’s cooking. It’s the entertainment here. The grill is really small, but the food comes out really good,” Dunn said. The grill is maybe three feet by two feet and Buckeye says it’s as old as the building itself. She went through chemo and radiation, all while taking care of her young children. I asked her why she decided to buy Bob’s back in 2011 as she was going through treatment. Even during chemo, she was the one who opened the diner most mornings. As the breakfast rush fades away and there’s a little calm before the storm of the lunch crowd, Buckeye tells me after seven years it might be time to pass on the magic of Bob’s to someone else. So she has quietly put the restaurant on the market, looking for the right kind of buyer. “I don’t want it to change at all,” she said. “Don’t change any recipes. Come in and enjoy. 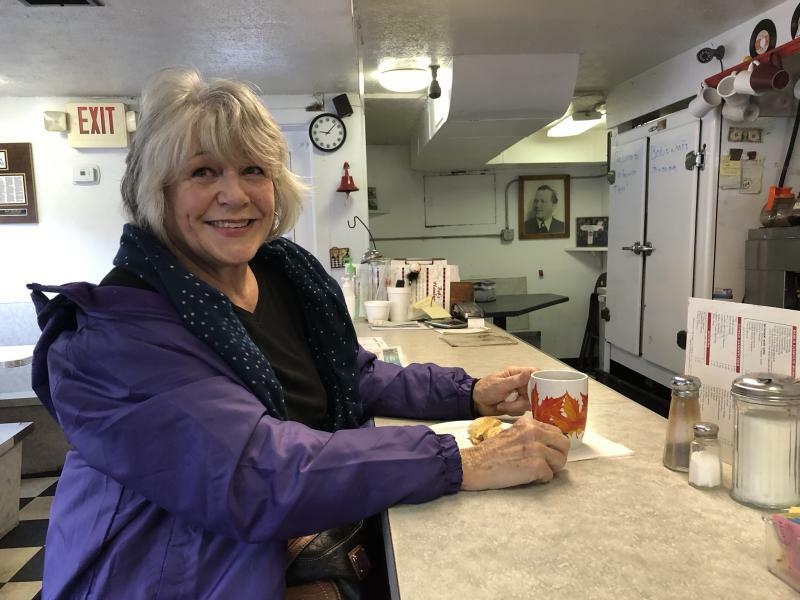 There are days that it’s like anyplace else, it’s hard work, but it’s perfect.” She is in no rush to sell and if she can’t find that perfect buyer, she’ll find a way to keep the restaurant open. Because she knows no matter what there will always be regulars like Janet Dunn and Cecil Hill who want Bob’s to stay just the way it is.